In today’s process manufacturing environment, the need for robust software to provide flexibility and real-time transactional capabilities is apparent. This white paper explores the the challenges our clients faced, requiring end-to-end visibility across all supply/demand channels to achieve optimal production flows. 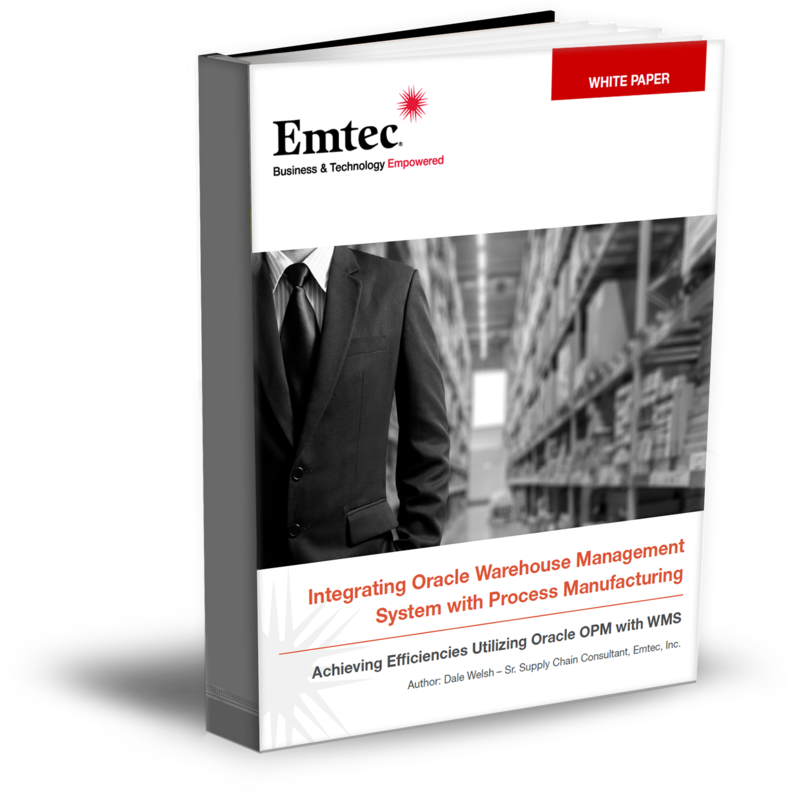 Through the use of Oracle Enterprise Resource Planning (ERP) Applications, companies can now leverage real-time Radio Frequency (RF) transactions through Oracle Process Manufacturing (OPM) and Oracle Warehouse Management System (WMS) to improve efficiency.